House of Cars – Voted #1 Top Choice Award Winner 4 Years In A Row! 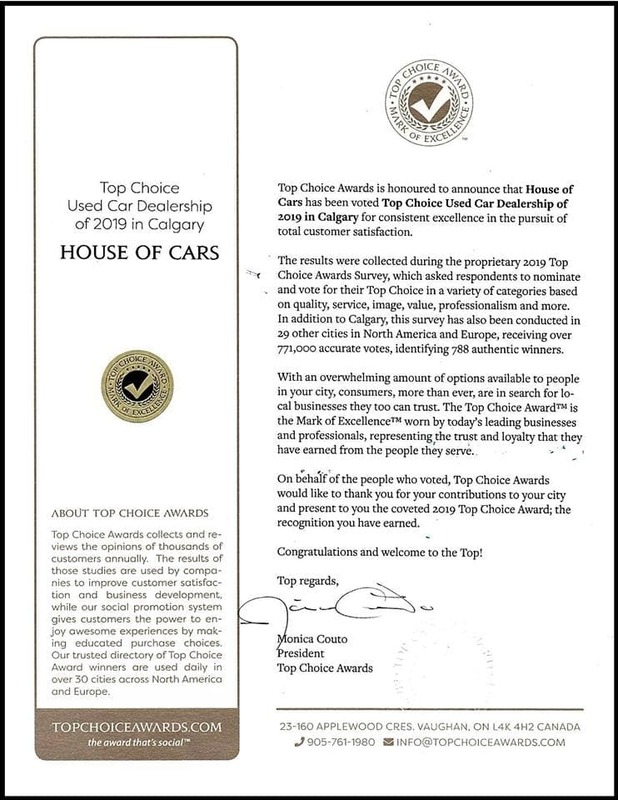 House of Cars was voted #1 dealership in Calgary for 4 years in a row! Our community has made their choice and we couldn’t feel more honored. There’s a reason why we’ve been voted #1 for four consecutive years, and we’ll continue to do our best to make our community proud for future years to come! 0 comment(s) so far on House of Cars – Voted #1 Top Choice Award Winner 4 Years In A Row!